ResellerRatings is a retail commerce reviews site where consumers submit ratings and reviews of online retailers, and online retailers participate to respond to reviewers and to gather reviews from their customers post-purchase for customer sentiment analysis and UGC syndication through the world’s largest search channels. The ResellerRatings Reviews Suite of tools provides a full spectrum UGC solution from product reviews, seller ratings, social Q&A to visual marketing. "Best review, feedback site period! I would never use any other product." I love to be able and read reviews from other customers like myself across thousands of websites. They are always very accurate and give you valuable information before conducting business with that business. I use personally and professionally. I also love the ability to be able to read each personal review customers leave for us. It helps us drive better performance but also greater sales. Listening to the customer feedback is what is the most important and this tool really helps achieve that. They are also the most trusted source of ratings on the market at the moment. People look for this because they know all the reviews are real and the better score the better the experience will be. I would probably say just the fake reviews let by competitors. But ResellerRating does a great job in allowing you to dispute those and validate their authenticity. All in all there is not much not to dislike about this software. You can see that they've really done the job of listening to customer feedback and made it work for everyone. Just try it, results are seen immediately. Being able to defend our brand and being able to use customer feedback to better out processes. Listening to feedback from customers. Being able to create KPIs and gage our customer service support. This is what it's all about. The dashboard is also so easy to use. Anyone can learn right away since it so self explanatory. "Get the job done for a fraction of the cost." ResellerRatings features are comparable, if not better in some aspects, to top tier 1 rating and advertising tools out there. I really like the visual marketing and the social Q&A functionalities. They add a seamless integration of visual UGC (user generated content) to your site, beyond the basic, traditional star ratings. And the Social Q&A empowers your brand and product followers to build a sense oof community and express their thoughts and concerns among themselves and with you. Not to mention getting the basics right, with the product reviews boosting conversion. The Review Suite is easy to implement and to manage. Their customer support is very knowledgeable and helpful. And the best part is their pricing is fair, which means significantly lower than their competitors. I have no negative feedback to provide about them. That's what happens when you are well taken care of as a customer by a company that provides top-notch services and support. A very viable, smart alternative to similar, more expensive tools out there. Definitely take full advantage of the many features and functionalities offered by Reseller Ratings, like the Visual Marketing and Community Powered Q&A. Great differentiators to the competition and key to higher engagement. Capture and display customer reviews and rating of our products and our company. And integrate reviews into our social and paid search advertising, seamlessly. I like how we have our own dedicated account representative who works well with us and goes out of his way to meet our needs. I also like how easy it is for our customers to leave reviews for us and to get our reviews on Google for SEO. I dislike the review process of unfair reviews. Whenever I flag reviews I don't get any responses on why it's not flagged or any communication in regards to that. I don't think that I should have to go out of my way to follow up on why an unfair review was not flagged. I would recommend this product to anyone looking for simple to use reviews for their e-commerce store. I am trying to see if I can get product reviews installed with Reseller Ratings for my PLA's. We realized that might work for us since the product we're using for product reviews aren't partners with Google so we have to funnel the reviews through another platform which is adding cost and time. "We use Resellers rating to get honest reviews"
Reseller rating is great way to connect with customer. It helps you to gather honest reviews and it helps a lot to improve our product. Plus whatever ratings we get on resller rating helps us to get great reputations online. Reseller rating is 1 of the trusted review platform that google looks for before giving star rating on our Adwords campaign and organic campaign. "Hit or miss, when it's good, it's great, and then sometimes it isn't." Being able to reply to the people leaving the reviews and saying thanks for great reviews, and figuring out what happened to the few who feel wronged. I believe this company may roll over employees quite often, we have had several account managers during my short stint using this platform, and sometimes I cannot figure out who to email, or I can't get in touch with a person on the phone. I suggest going for the brand reviews, but the product reviews seems like a continual beta that we paid too much for without having any sort of one-click integrations with the largest eCommerce platforms in the world. If you have a very open cart API service that exposes SKUs, prices, customer email, name, order date and the likes with a decent developer you should not have many issues. Being able to contact an individual about their negative review, and get them happy enough to update it to 5-stars is what we strive for. We look great on ResellerRatings because we can interact with the people who feel they had a bad experience, and make sure they come out on top and as happy as possible. Thank you for your feedback and points of concern. We learn so much from our Merchant base! I am sorry you have experienced issues getting a hold of someone. We have some great people on our staff and any changes should never impact your ability to reach us. 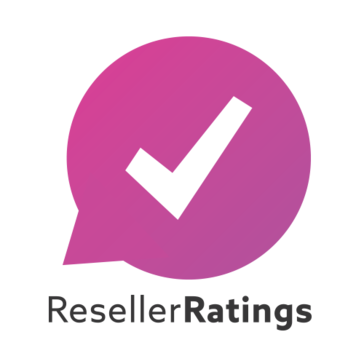 If you ever have a question, please send an email to support@resellerratings.com. We strive to have all inquiries to support resolved before the end of the business day and at very minimum an acknowledgement with promise to follow up! Also, if you would like to have the phone number to your account rep our Support Team is more than happy to help you with that. I am especially sorry that you have not found our Product Reviews to meet your expectations! We are literally updating our platform every day and I can understand how that could feel like a beta experience, this is not the intention, but a side effect of our goal to improve. And to your point, we are working very hard to improve the implementation process to help make the process more manageable for everyone! Thank you for your review, and to that end a meaningful one that we can take action to improve our organization!! ResellerRatings is always able to provide help for their clients whether it's for one account for an enterprise with multiple brand names. They've gone far and beyond to help keep our account organized and easy to navigate. There needs to be an easier way to handle negative and spam reviews. Just ask and they'll do their best to help meet your needs. Even if the feature isn't shown, all you have to do is to communicate with your account manager. Retaining reviews from our customers and keeping track of them all. Positive reviews helps our customer confidence and negative reviews helps us realize what we need to do to keep on improving. I like that we were able to use our own software and notifications with Reseller Ratings. As a whole, they're a very simple company to work with and everything was very streamlined. Our rep was adamant that we use their notification system even though we have our own internal campaign that would not allow for it. In the end, I believe our reps understood that it wasn't an option for us. It's best to do it their way otherwise you'll get told in every phone call that you should have bought their complete package. We're getting better brand recognition on Google and gaining credibility in the online marketplace. We've been in business for over 30 years but our web presence did not reflect it. I dislike that the client has to sign up or log in using Facebook, etc. As many do not want to give out more information than necessary and we find many clients do not complete the process once getting to this step. I love that potential clients can visit this website and get a good idea of what we're like as individuals and a company to work with. "We have over 1,700 reviews using Resellers Ratings"
It is simple to implement and easy to administer. Previously the monthly fee went up but they reduced it after we cancelled. We are obtaining positive ratings and we respond to every rating. "I highly reommend Reseller ratings"
Easy implementation, easy set up and a great support staff. Nothing to dislike, the service runs on autopilot once set up. We needed to reverse the optics and negative reputation in google search of a business we acquired. Reseller Ratings helped us do that, by contacting our customers 10 days after our product was shipped to them we gained credibility in a few short weeks. "Great Service and Great Support!" After an acquisition we used ResellerRatings turn to the optics around when a consumer searched for our brand on Google. It also is useful as an additional customer service tool- if we see a 3 star rating or less we reach out the customer and resolve whatever issue they may have had. Love the service and the staff- nothing to dislike. Fits our needs plus the cost is reasonable. Nothing to dislike. The rep was friendly and their support team helped us through the integration process. Consider your needs. There a many "ratings" companies out there. Fine the one that fits your needs. For us it was ResellerRatings. People likes to see ratings. They see that as authentic review of the company/product. RR allows for a high volume reviews to maximize reputation and SEO. There needs to be a few more policies in place to invalidate certain reviews. Make sure you have staff to monitor the reviews. High volume of reviews to build brand reputation. The biggest benefit is peace of mind knowing that customers won't get discouraged if they see our rating. Brand reviews are great, being able to respond to the reviews is fantastic to manage customer service experience. Seems to have a high turn over rate, we have gone through many account managers. Integration is kind of sketchy and randomly breaks. Being able to easily communicate with our customer base on their reviews. "Great for viewing company reviews!" Reseller Ratings makes it so easy to view and respond to customers. It seems to run pretty slow sometimes depending on the time of day. We are able to see what our customers have to say about our stores nationwide and address their concerns. "Customer Experience for the Win"
I, personally, have no dislikes but I should mention that our Social team is primarily the ones engaging customers through Reseller. I help them facilitate changes within the company through the feedback they share with me. All sorts. We are able to resolve product, shipping, even website issues through the feedback we are actively getting through Reseller. "A great solution for your customer review needs." Easy to work with and easy to integrate into a business plan. Must use their email software for follow up emails. Doesn't play well with other formats. This helped us collect reviews and build up our ecommerce platform. "Good way to keep pulse of your performance"
We like the transparency of the reviews and ways that we can resolve them. Our ability to make sure we can create better customer satisfaction. Reseller Ratings helps us know what our customers think of our products and where we can improve in certain areas. They also provide valuable feedback and suggestions. "Customer Outreach for reviews has been a success"
"good site to generate reviews "
"Minimal Effort for Maximum Results"
Integration was quick and easy and the team was extremely responsive to my questions. It's tough to say - the service was so simple and the team was able to help provide clarity on responses. Only issue was that all reviews from company's IP are automatically filtered out. We have legit customers that we asked for reviews. Utilizing Google Seller Ratings within SEM. Reseller Ratings is an overpriced service for what you get. * We monitor all ResellerRatings reviews to prevent fraudulent reviews and keep review quality high. We do not post reviews by company employees or direct competitors. Validated reviews require the user to submit a screenshot of the product containing their user ID, in order to verify a user is an actual user of the product. Hi there! Are you looking to implement a solution like ResellerRatings?